WordPress is a platform for creativity and they host many creative themes of different categories. So the entire WordPress community is full of developers competing with creative themes and templates and among those, creative agency is one of the most popular categories. It is mainly an advertising agency who is dedicated to create, plan and handle advertising for its clients. So the themes dedicated to creative agencies are usually multipurpose and created in such a way to cover all the aspects of the creative agency. These themes are responsive which makes them usable from any device. Most of them feature creative demo pages and styles which are extremely customizable to meet your business needs. Most of the themes are also compatible with WooCommerce which will add you the e-commerce feature to your website and you can feature your products for the purpose of selling online. 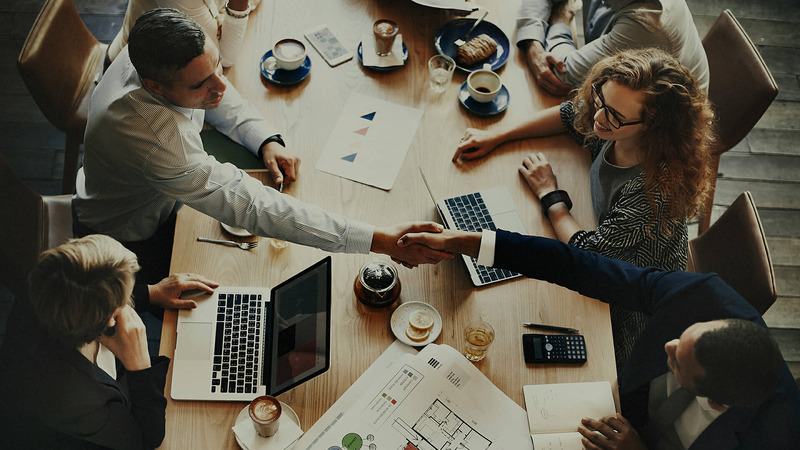 Here are some of the best WordPress themes for creative agencies you should check out if you are a business professional of any creative agencies. 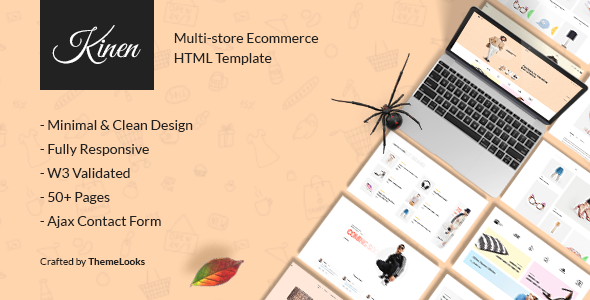 Uncode is a creative and multipurpose theme which is perfect for any creative agency, freelancer, designer, developers, corporate, portfolio, photography, restaurant, and e-commerce shop but it is excellent as an agency theme. With the including of the demo package, you can choose from a different collection of concepts while setting up your website with WordPress. 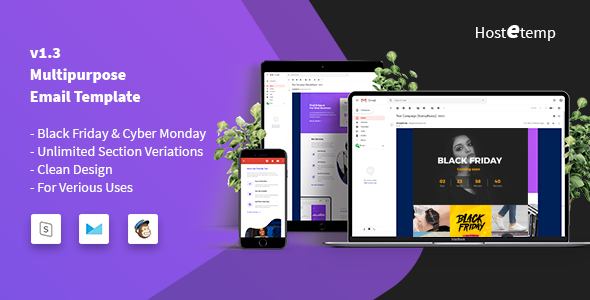 This theme is based on the famous drag & drop page builder which is the WPBakery Page Builder by which you can complete your website simply by dragging and dropping the element you need. This will save your time as well as effort. Revolution Slider, Layer Slider headers and iLightbox are also included with Uncode. There are over 40 pre-made concepts ready for you including one-page scroll, landing page and more. So with Uncode, it is possible for you to build anything you can think of. It is SEO optimized and has RTL support. It is also retina ready and fully responsive. Uncode is also integrated with WooCommerce which gives you the option to make your e-commerce page. If you have a business of any creative agency and looking for a flexible and elegantly designed WordPress theme to create your website, Studio 8 should be the theme you choose. This theme is perfect for creative agencies, photographers, web designers, architects etc. Studio 8 is capable of creating a strong first impression to impress the potential clients. It has a huge collection of creative features which will surely impress your visitors in a very professional way. So either you are trying to showcase your awesome projects or display different types of content, Studio 8 might be the theme you will love. It is extremely fast having fastest page load speed and its responsive design will let you use this theme from any devices. Its unlimited color scheme will let you choose the color which matches your business. With the availability of WooCoomerce, you can turn your website into an online shop. It is also multilingual by which you can reach your clients in a global range. Custom logo also can be uploaded reflecting your company. Child theme is already included which saves your effort creating it by yourself. TheGem is a creative, multipurpose and high-performance WordPress theme with a modern design which is suitable users from creative agencies planning to create their websites. 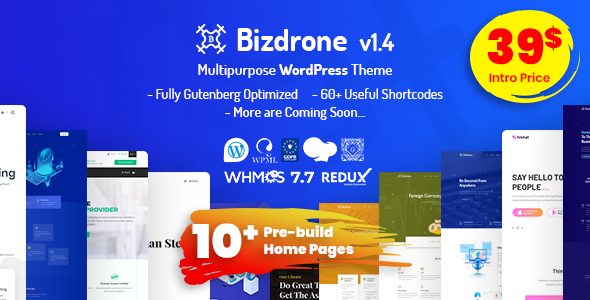 It is a multipurpose theme having more than 70 built-in creative concepts which will allow you to build anything you can imagine. You will get layouts for creative agencies, business & finance, online shops, photography & portfolios, blogs, apps, landing pages, gym and restaurants, hotel and clients and many more categories. The reason for buying this theme is its high performance having super fast loading time. It has the best UX design and it is tested with page speed. TheGem is also SEO optimized which ensures high search engine ratings. It is responsively designed and retina ready which makes it look sharp and crisp in any device. It features unlimited creativity having over 150 pre-made creative demo pages and you can customize anything with over 250 styles. It is also compatible with WooCommerce which can convert your website into an online shop. With the latest fully integrated & updatable Visual Composer, you can build your website with the drag & drop feature which will make it simpler and save your time. To build the perfect portfolio, creative agency, corporate or blog website with WordPress, POFO is the WordPress theme you will love. It is a creatively developed theme which is suitable agencies, creative teams, photographers, artists, and corporate business. Its responsive design makes it flexible to use it from any devices. It is possible to create any creative hand-crafted look of your dream by using this theme. Fabulous user experience and modern web design trend are the eye-catching part of this theme. More than 25 demos are included with these themes which are truly unique and covering all the modern categories related to digital and creative agencies. One click demo is the feature available with it which will make your website running in hours. Navy is a WordPress theme which has been designed to meet your business needs of any categories. It is a powerful WordPress theme for startups and modern companies. The readymade layouts will give you the option to use them to create your page layouts very easily which will save a lot of your time. The most popular plugins in the market like the visual composer, revolution slider and the essential grid are of course available with Navy which helps you to make your website in a professional level. Visual Composer will let you create your website using the drag and drop feature and you can create almost any type of layouts using tons of pre-built elements. WPML plugin is also compatible with Navy and the ready translator will give you the feature to translate almost any languages.